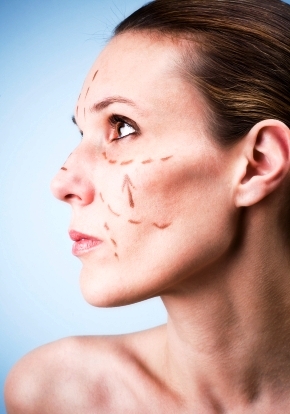 Plastic surgery and cosmetic procedures have been a hot topic lately. Why? Because the cosmetic industry is boosting and is predicted to continue to growing as the economy improves. It is expected that Plastic Surgery and non-surgical cosmetic procedures will soon exceed pre-recession levels. The industry peaked in 2004 and saw a big decline in 2009. According to the ASAPS, Plastic Surgery procedures grew by almost 9% in 2010. I am not sure if the increase in plastic surgery is a sign of an improved economy or not. I will say that I have seen more clients coming in because they want to stay competitive in the work force, especially in industries such as technology, that attract a younger generation of workers. People that are in sales or work with the public feel that their appearance has an impact on their income or ability to obtain a job. I have also seen an increase new clients, that want to improve their appearance before starting a new job. They are taking advantage of the time away from work to recover from surgery. There were 1,622,290 total surgical procedures done in 2010. There were 9,336,814 total non-surgical procedures done in 2010. The ASAPS survey is based on procedures performed by the surgeon, and may not include all of the nonsurgical procedures performed in the office by other staff such as physician assistants, nurses, laser technicians and estheticians . This entry was posted on Monday, April 4th, 2011 at 10:19 pm	and is filed under Health & Beauty, Plastic Surgery, Skin. You can follow any responses to this entry through the RSS 2.0 feed. You can leave a response, or trackback from your own site. I just started working for a plastic surgery center and I’ve noticed that young adults are coming in between the time they graduate from high school and the time they start college so they have time to recover. There are also college students scheduling procedures for the upcoming summer break for the same reason. It also makes sense that others would want to have a procedure before starting a new job or entering a new career field. Thanks for the stats.